Stampin' With Leah : Christmas Single Stamps. Scroll down to see Festive Flurry Christmas Card. 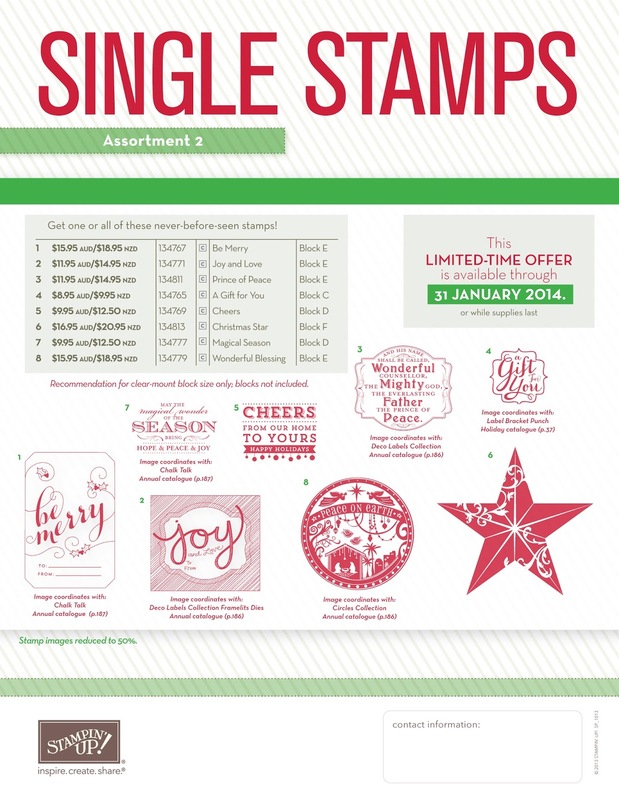 These Christmas Single Stamps are now available until the 31st January or while supplies last, ranging in price from $8.95 to only $15.95 great for budget conscious stampers. There are 8 new stamps with 6 coordinating with framlits dies or punches. They will be packaged in cello bags and come in clear mount stamps only. If you would like a case for your stamp you can get a pack of 4 clear mount cases for $9.95 item code 119105.